As part of a PTA-sponsored project, Westhampton Beach Elementary School students are growing and tasting winter greens that they planted in the school’s greenhouse. 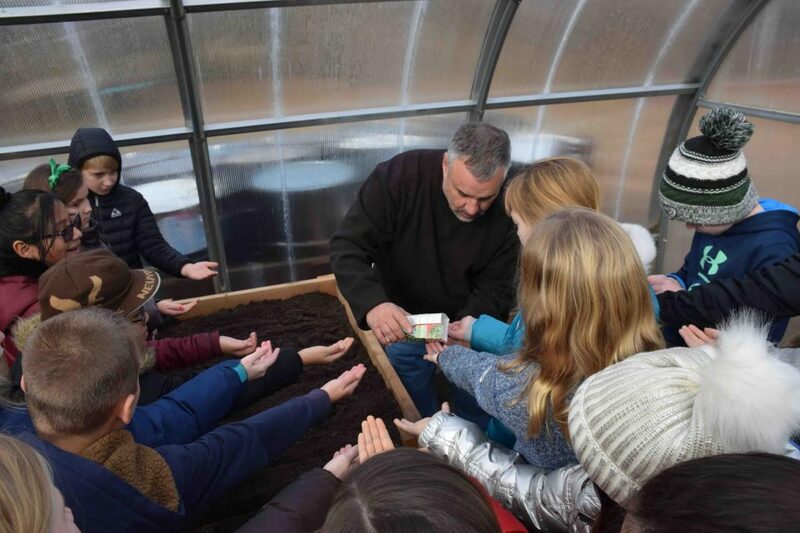 For the project, students have been working with farm educator Renato Stafford, owner of Homegrown, to plant and grow winter microgreens, including arugula, broccoli rabe and spinach. The outdoor classroom has provided students with the opportunity to taste what they have grown and learn about the different growing seasons. In the spring, they will plant tomatoes and other vegetables. All harvests from the greenhouse will be donated to a local food pantry. Photo caption: Westhampton Beach Elementary School students are learning about farming from organic farmer and educator Renato Stafford as part of a PTA-sponsored outdoor classroom project.